Today is 150 years to the day since the much celebrated children’s author Beatrix Potter was born, and to celebrate, a short film has been created to imagine how she would have spent the day. 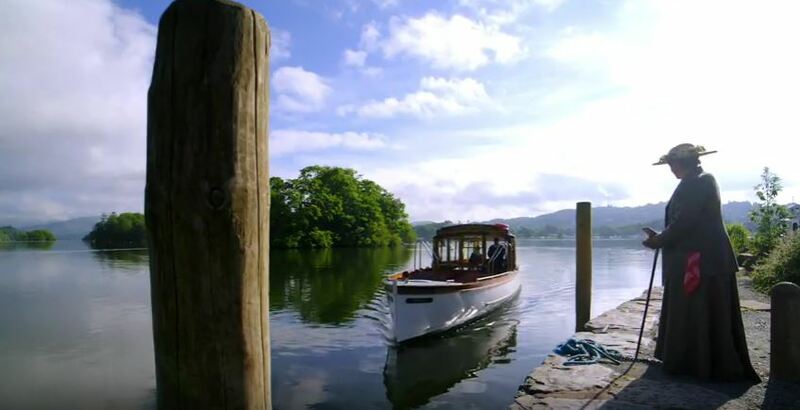 The video, which is six minutes long, has been created by a group of local film makers and photographers, led by Alison Magee-Barker, who is the general manager at the Lindeth Howe Hotel in Bowness-on-Windermere. Last week I was invited to the video’s launch at the Lindeth Howe, and to learn a bit more about the hotel’s association with Beatrix. The house was rented by the Potter family for their annual summer holidays in the early 1900s, and Beatrix illustrated The Tale of Timmy Tiptoes and The Tale of Pigling Bland whilst staying there. She later bought the house for her mother, and there are wonderful photographs along the hotel’s corridors to remind guests of its fascinating past. Celebrating Beatrix Potter! is a charming little film which has been thoughtfully put together, so I had to share it with you on the blog. I love the music – watch it just once and the tune will stay with you all day! My advice – make a cup of tea and take five (or six!) minutes out to imagine the Lakes as it might have been in Beatrix’s day. Happy Birthday Beatrix! There are lots of properties and places in the Lake District associated with Beatrix Potter. Which are your favourite? Let us know by leaving a comment below. As well as being a famous children’s author who based many of her stories and illustrations on scenery from the Lakes, Beatrix did much to preserve the Lake District that we know and love today – this makes her 150th anniversary extra special to the area.